Avoid waiting in line at the door ... Buy your ticket in advance! Doors will open at 7 pm for wine and hors d'oeuvres; music will begin at 7:30 pm. Vocalist Danya Katok is joined by pianist Michael Sheetz in an evening of musical theatre, jazz, and contemporary folk gems that tell a story of perseverance towards her ultimate wish, motherhood. Songs by Marc Blitzstein, Jeff Blumenkrantz, Randy Newman, Stephen Sondheim, Georgia Stitt, and more capture the pain, heartbreak, fear, and finally, joy in this most personal story directed by Dewey Moss. Held in the intimate Wallace Hall, Caritas Concerts are warm, enjoyable evenings of food, wine, friendship and great music. Caritas is the Latin word for “charity,” and as the name suggests, all proceeds from these benefit concerts are given directly to charities that address social justice concerns. 100% of all ticket revenues and donations from this evening will go directly to Mercy Center. Mercy Center empowers women and their families in the South Bronx to liberate themselves from economic poverty. Mercy Center promotes their right to an improved quality of life by addressing the needs of the whole person, developing skills for healthy family living and economic advancement, and building a community of respect, hospitality, and non-violence. Through core programs and a full complement of support services, Mercy Center addresses four critical problems facing people who live in the Mott Haven section of the South Bronx: unemployment and economic poverty, violent and oppressive behaviors in families and the community, overburdened and underperforming schools and the powerlessness and estrangement that accompanies the isolation of the immigrant experience. Danya Katok is an exceptionally versatile vocalist whose repertoire ranges from the pure straight tone of plainchant, to the lush soprano of the Romantic era, to the exciting belt of musical theater. She has performed in many of the country's top concert halls, including all three stages at Carnegie Hall, the State Theater and David Geffen Hall at Lincoln Center, Brooklyn Academy of Music, Kennedy Center, and Symphony Hall. She made her New York City Opera debut as Max in Oliver Knussen's Where the Wild Things Are, a role for which she was praised by The New York Times as being “superb." She has appeared as a soloist with The Boston Pops (“An Evening of Cole Porter," alongside Broadway legend Kelli O'Hara), Pennsylvania Centre Orchestra (Mahler'sSymphony No. 4) Fifth Avenue Presbyterian Chamber Choir (Brahms' Ein deutsches Requiem), Mark Morris Dance Group (Thomson's Four Saints in Three Acts), and New York Symphonic Arts Ensemble (Mahler's Symphony No. 4 and Vaughan Williams' Serenade to Music). 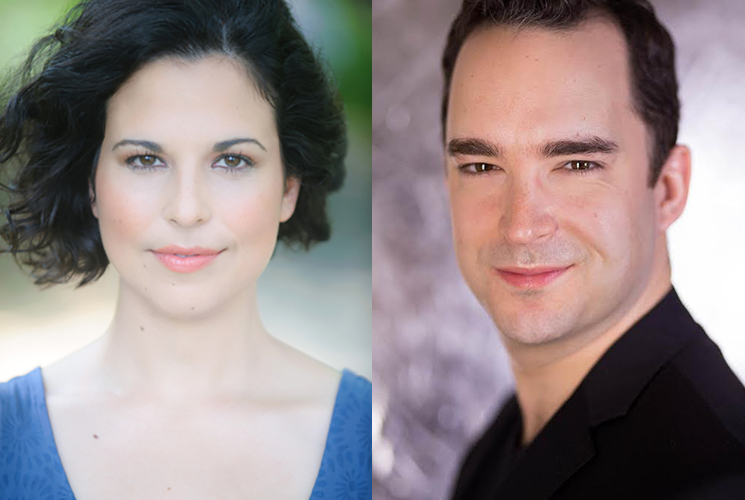 Musical theater and jazz credits include Anna (cover) in The King and I with Ash Lawn Opera Festival, jazz soloist with Mark Morris Dance Group at Jacob's Pillow, and Anne/Mae (cover) in O Night Divine at York Theatre Company (Off-Broadway). She has performed two cabaret shows at Don't Tell Mama: her solo show, CATS! 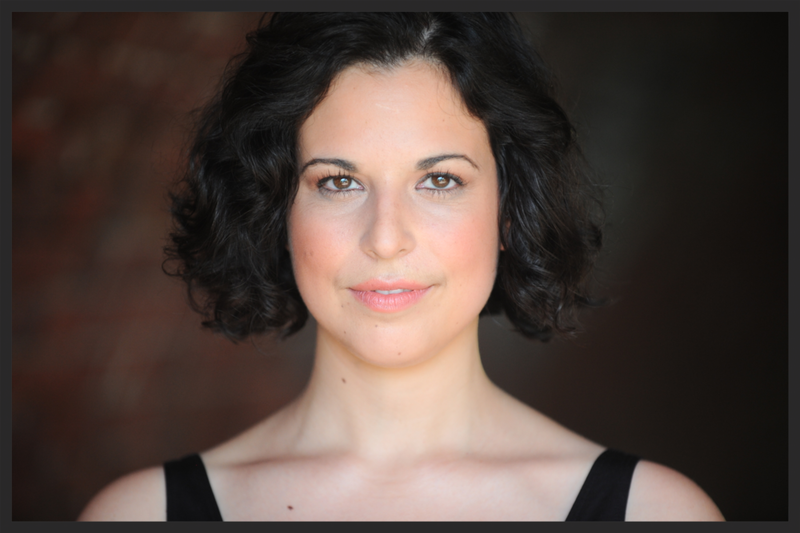 : a cabaret and From Charm City to the Big Apple, a duo show with Kat Guthrie. A two-time Vocal Fellow at Tanglewood Music Center and first-ever New Voices in American Song Fellow at SongFest, Danya has worked closely with song and opera composers, including Libby Larsen, John Musto, Oliver Knussen, and Richard Hundley. She has enjoyed premiering new works by up-and-coming composers, such as Stuart Paul Duncan's Lament with the Cornell Festival Chamber Orchestra, Michael Strauss' Sassafras Dawn with members of the Mid-Atlantic Symphony, James Sproul's October, and David Bridges’ The Hill Wife, a "quartet for two people" where she played the violin and sang. She has received numerous awards in the contemporary music space, including the Phyllis Bryn-Julson Award for 20th/21st Century Music, Tanglewood’s Grace B. Jackson Prize, and the Ernst Bacon Prize for American Art Song. Other awards include Regional Finalist in the Metropolitan Opera National Council Auditions (Mid-Atlantic region), Winner of the Annual Teaneck Cabaret Competition, and Winner of the Baltimore Music Club Vocal Competition. She was a finalist in the 2016 Joy in Singing art song competition, led by Paul Sperry. Danya is on the music faculty at Hunter College. Michael Sheetz was appointed Music Associate of the Church of St. Ignatius Loyola in September 2012, after having joined the music staff in 2010. He serves as Music Director of the Wallace Hall Choir and Orchestra, Assistant Conductor of the Parish Community Choir, and provides conducting and keyboard support for the acclaimed Sacred Music in a Sacred Space concert series. Further duties include maintaining the church’s renowned music library, as well as contracting, playing, and overseeing many of the church’s liturgies throughout the year. A recording of his playing with the St. Ignatius Children’s Choirs was regarded as “consistently excellent” by theAmerican Record Guide Review, and he recently produced and directed the liturgical music album “Hallelujah: The Wallace Hall Choir and Orchestra,” featuring music in both classical and contemporary styles. An active musician in New York City, Michael is the Assistant Music Director of Musica Sacra, New York’s longest continuously performing professional chorus. Through this organization Michael assists Music Director Kent Tritle in performances at Carnegie Hall, Alice Tully Hall, and the Cathedral of St. John the Divine, and leads an educational outreach program advocating choral music in underserved New York City public schools. With Musica Sacra he has collaborated with the New York Philharmonic, Orchestra of St. Luke’s and New York City Ballet, and released a recording on the AMR label, “Eternal Reflections: The Choral Music of Robert Paterson.” He made his Musica Sacra conducting debut in March 2014 at the Cathedral of St. John the Divine with Judith Lang Zaimont’s Parable: A Tale of Abram and Isaac. 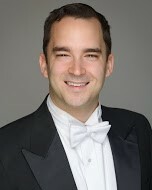 Michael is the Assistant Conductor and Accompanist of the Fairfield County Chorale in East Norwalk, CT. He is on the faculty of the Berkshire Choral Festival, the United Nations International School, and La Lingua della Lirica, a summer training program for opera singers in Novafeltria, Italy. He has served as a Teaching Fellow at The Juilliard School and as a vocal coach and accompanist at Manhattan School of Music, as well as Assistant Choral Director at the New York Philharmonic, Lincoln Center Festival, and Weill Music Institute. He has performed live broadcasts on WQXR and Vermont Public Radio, and in concert at Weill Hall, Alice Tully Hall, and The Kennedy Center. An accompanist for the Oratorio Society of New York, Voices of Ascension, New York Choral Consortium, Aspen Opera Theatre Center, Middlebury Opera, and the College Light Opera Company, he has collaborated with Philippe Entremont, Alan Gilbert, Jane Glover, Maria Guinand, Pablo Heras-Casado, Dennis Keene, Bernard Labadie, Meredith Monk, John Nelson, Sir Roger Norrington, Emmanuel Plasson, David Rosenmeyer, Steven Schick, Bramwell Tovey, Kent Tritle, and K. Scott Warren. Michael holds a Master of Music and two Professional Studies degrees from Manhattan School of Music in accompanying and conducting. He is a graduate of Vassar College. DOORS OPEN at 7:00 PM for wine and hors d'oeuvres. Music starts at 7:30 PM. WILL CALL is available when the doors open at 7:00 PM inside the main doors of Wallace Hall. CHILDREN seated on an adult's lap do not need a ticket. Children seated in a chair or pew need a ticket. Wallace Hall is not an accessible space. While there is a ramp entrance to the main sanctuary of the church, there is not an accessible entrance to Wallace Hall. Please call ahead (212-288-2520) to discuss any special seating requirements.